It’s rare to find a home that hasn’t been extended at some point – possibly that’s because developers haven’t always been generous when designing houses and we now have more ‘worldly goods’ than we ever used to. For many the solution when they run out of space is to build rather than move and what’s not to like about that? A brand new shiny extension bedecked with the latest gadgets – your very own brainchild. Before the local authority’s building control department will issue the all-important building regulation ‘sign off’ they will usually want to see evidence that any requirements of the Water Authority have been incorporated into the construction of the extension and this evidence usually takes the form of a document known as a ‘building over agreement’ entered into between the homeowner and the Water Authority. 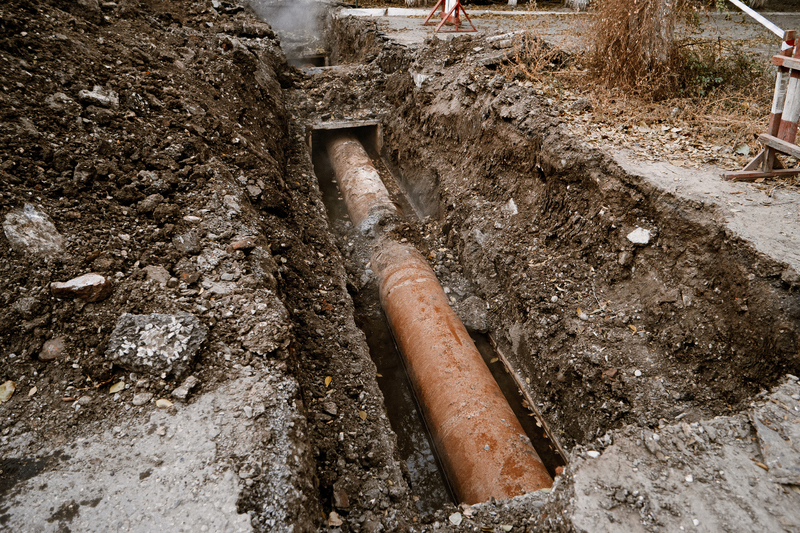 This essentially gives an assurance that the extension meets the building regulations as far as the public sewer goes and it’s also important because the Water Authority has powers to enter property to inspect and maintain its sewers and in extreme cases they can, at the cost of the homeowner, remove an extension that obstructs access to their sewers and/or which may be causing damage to them. If there is a ‘building over agreement’ the Water Authority rather than the homeowner should cover these costs. What if our extension is over or near a public sewer but we don’t have a ‘building over agreement’ when we come to sell? The homeowner could apply to the Water Authority for a retrospective ‘building over agree-ment’ – this can be an expensive and time-consuming exercise with no guarantee that the Water Authority will ever agree to entering into such an agreement. Take out an insurance policy known as an ‘absence of building over a sewer indemnity policy’, which is designed to offer compensation in the event that the Water Authority takes action against you e.g. requires you to remove an extension or pay the increased costs of access and maintenance of the sewer caused by the extension. Argue that the sign off from the local authority’s building control department (which the home-owner should have) is sufficient – after all this shouldn’t have been issued unless the extension had been built to accommodate the sewer. If you need any advice on any conveyancing matter or would like a no obligation quote for buying or selling your home, please get in touch. I can promise an efficient, personal and reasonably priced service. Direct: 01792 952016 Giles is a solicitor based in Swansea specialising in conveyancing and wills.